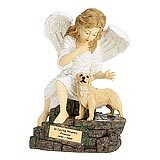 "The urn was so beautiful that when we lost Dutchess Anne, after searching other sites, I came right back to Angel Ashes for an urn. 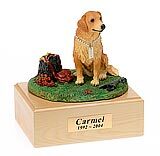 Both pets have the same color urn. 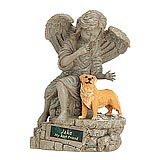 We have both urns placed in our living room on the entertainment center and they blend right in with my collection of angels." 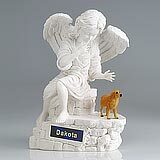 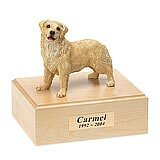 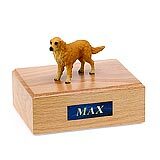 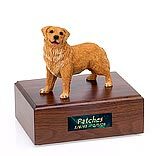 All available Golden Retriever dog urns and memorials will be displayed with the figurine on the Golden Retriever urn you select and in the appropriate size.